durability without the need to sacrifice views associated with bars, grilles and other types of barrier security. When the weather heats up, you and your family can enjoy the flow of cool breezes through your home and whilst not only keeping the flies and mozzies out AS WELL AS ANY INTRUDERS !! It has low profile look, and the clear vision stainless steel mesh which allow you to enjoy total security without compromising the view or outside appearance of your property. The assembly process for SupaSceen doesn’t include any mechanical fixings such as rivets, screws or face-mounted strips, instead relies on the patented manufacturing process as all the sections of the assembly are held together under extreme pressure. This means there are no visible fixings or anchor points which not only makes supascreen easy to clean but has a neat, stylish look. SupaScreen doors are available in both hinged and sliding. The hinged doors come with a upgrade Lockwood security deadlock and triple hinges as standard however a three point locking system can be added for extra security. 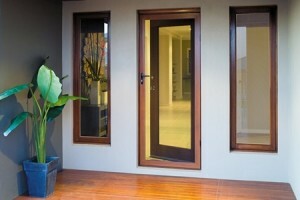 Sliding doors can be installed as a single, double or multitasking sliding doors. The strength and durability of stainless steel together with SupaScreen’s patented construction method makes it the toughest security system on the market without the need for bars and grilles. All our SupaScreen doors are custom made specifically for each opening, which means doors or windows will have no gaps and ensure a tight seal. SupaScreen windows grilles is the ideal solution for securing your windows. With its low profile and clear vision, this stainless steel security screen allows you to enjoy total security enabling you to leave windows open and enjoy the airflow through your home, whilst keeping out intruders. They are fixed to the window using security screws. The frames are available in a wide variety of colours. Supascreen: Meeting all Australian standards. Are you after the security but hate the idea and look of security bars or grilles? Then, SupaScreen™ is the answer. SupaScreen is made from high-tensile, marine grade T316 stainless steel mesh and is the latest innovation in security products technology. It maximizes strength and durability without the need to sacrifice views associated with bars, grilles and other types of barrier security. This emergency fire escape system is a window screen that opens outwards to allow for easy exits in the event of a fire or any other emergency situation. It also has been tested to prevent unwanted visitors or intruders from entering via the window. The key less, slim-line design has a simplistic but effective child safety opening release that avoids opening the screen accidentally.